We close at 3pm on Thursday 21st December and we reopen at 9am on Wednesday 3rd January 2018. We’d like to say a big thank you to our customers for their support and business throughout 2017 and we look forward to working with many more of you next year. On behalf of the team at Essential Print Services, we wish you all a very merry Christmas and a fantastic new year. 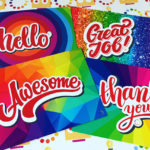 PreviousPrevious post:Pride, Passion & PrintNextNext post:Derby Print Firm bursts with pride over company expansion & record sales.